Sprouting out of the volcanic soil are these silver, sword-like leaves that form a spherical shape. With silver leaves, the plant is able to reflect away the excess sunlight of Hawaii. The flowers grow like a skyscraper. 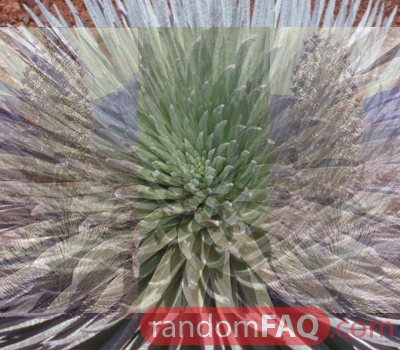 One column holds all of the silversword's purple flowers. This species of plant is a relative of the sunflower and is said to have come from California via the Pacific.